Ready for an EASY way to portion out your meals at the speed of LIGHT?! Seriously, this 4-part method is exactly how I portion out every single one of my meals, and you don’t need a food scale or measuring cups or any other fancy tool to use it. All you need is your HAND! YIKES!!! 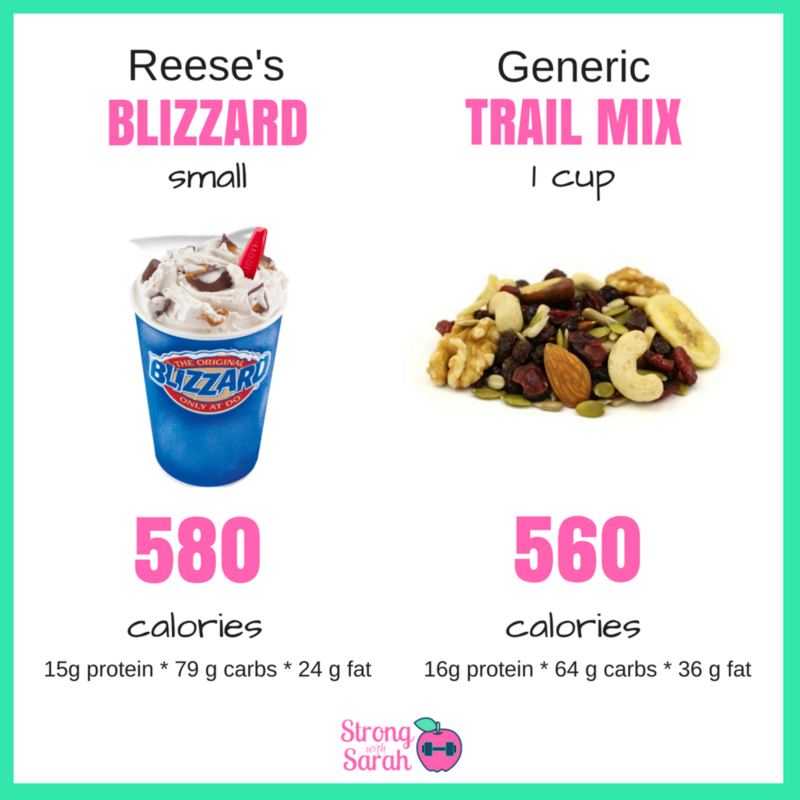 That is a TON of calories to consume within the span of 24 hours! Even though Thanksgiving revolves around eating, there are ways to navigate your day so that you still ENJOY your favorite foods without going overboard! 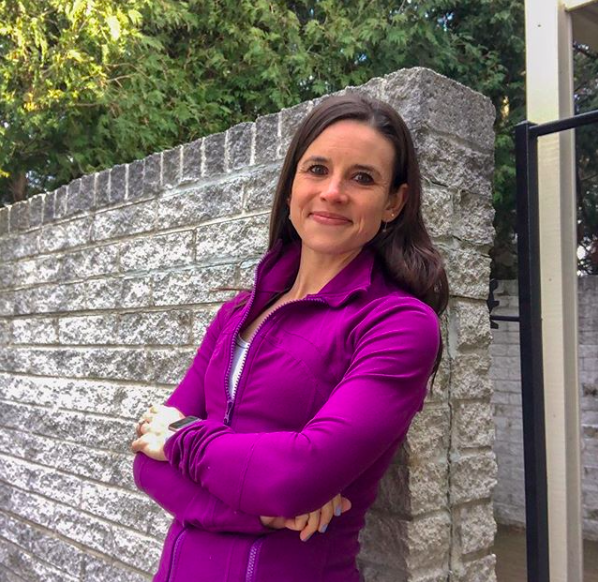 Check out my 4 best tips on how to stay healthy (yet still ENJOY) your Thanksgiving! Eat Breakfast. It may sound counterintuitive, but eating breakfast can help prevent you from snacking all day. “Saving up” for the big meal rarely works because you end up becoming SO hungry throughout the day, that you overeat before the main meal is even served. Pitch in and Bring Something Healthy! What makes Thanksgiving amazing is the number of options to choose from! Most Thanksgiving options are high in fats and carbs (ahem stuffing, mashed potatoes, and gravy). Be SURE there is a healthy choice at dinner or as an appetizer by bringing along a veggie tray or veggies as a side dish. Fill HALF of your dinner plate with veggies and protein. If you’ve been following me for awhile, you know that I’m a believer in ENJOYING your favorite foods and drinks on special occasions. And for most of us, Thanksgiving is a special occasion! That doesn’t mean you can eat 5 servings of stuffing and expect to lose weight. Set yourself up for success by filling at least HALF of your plate with veggies & turkey, and allowing yourself to indulge in smaller portions of your favorite, heavier foods. 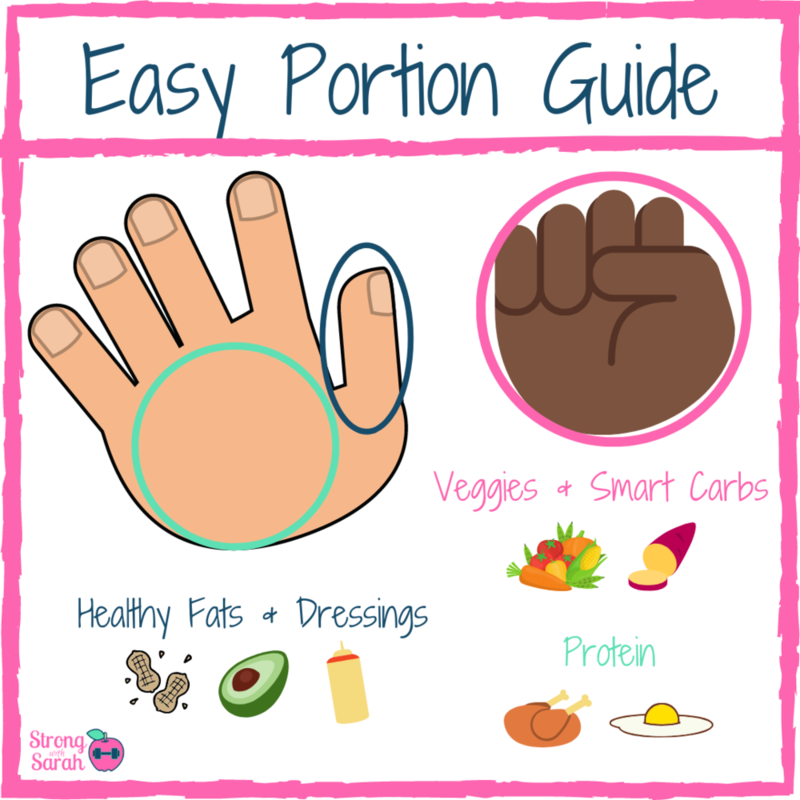 Pay attention to your hunger and fullness levels! This one is harder than it sounds, but really try to eat ONLY when you feel hungry on Thanksgiving. Often times, this day turns into a “grazing day” when food is available to eat all day. Instead of mindlessly eating everything that is offered to you, focus on eating ONLY when you feel hungry. When you feel full, politely pass on food or take some home as leftovers! Thanksgiving is a tricky holiday to stay on track, but it’s possible with a little planning and knowledge. 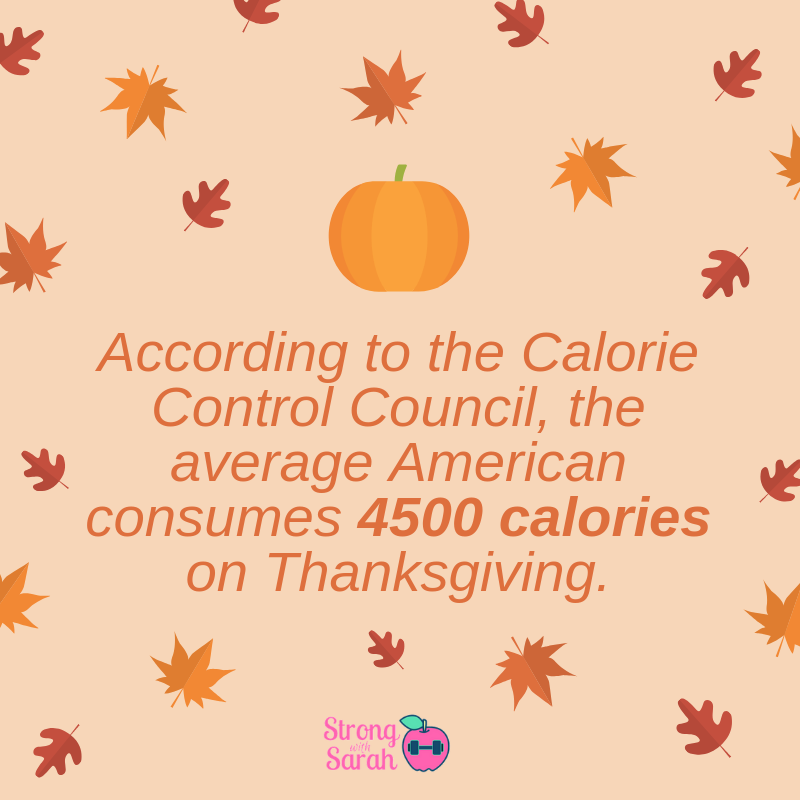 Most importantly, when it comes to appetizer and overall food choices, decide what you are COMMITTING to do, and what you’re NOT willing to do before Thanksgiving arrives! Do you have any other tips that help you stay healthy on Thanksgiving? Share them in the comments below! Festive Fall *HEALTHIER* Pumpkin Brownies! As the weather turns chilly, fall is a festive season for some HEALTHIER brownies! Today’s recipe is SUPER easy (seriously — it only uses 2 ingredients), and removes the egg, butter, and oil from traditional brownies. Mix the ingredients together well. Allow them to cool and ENJOY! 4 Ways to CONQUER Meal Prep! When I say the words "meal prep," do you imagine spending five hours on a Sunday in your kitchen measuring out about 30 ingredients, and having at least 20 reusable storage containers to hold your meals? Newsflash: meal prep does NOT need to be time consuming more complicated! Meal prep isn’t rocket science, but it’s also not very intuitive. Check out these 4 hacks to help you ace your meal prep game WITHOUT wasting your entire Sunday measuring out ingredients in the kitchen! 1. Spend money on the right storage containers. Please note, this does NOT mean that you need to buy the most expensive food storage containers from a high-end department store! Wherever you shop, I encourage you to invest in some glass storage containers that can easily go from the oven, the refrigerator, to the freezer, or even to the microwave. In addition, you can buy special produce storage containers that keep fruits and veggies fresh for longer. I HIGHLY recommend using these! 2. Focus on preparing ingredients instead of meals. Do you ever find that eating the exact same thing for a few meals becomes boring and bland? Instead of preparing a casserole or soup that will last you the entire week, focus on preparing ingredients that you can have multiple uses. For example, cook and chop up chicken breasts so that you can use it in salads and in wraps. Or, wash and chop up veggies that you can add to salads or sauté as a side for dinners. 3. Try to follow the 4/2/1 rule. Every week, try to prepare 4 different vegetables, 2 different proteins (such as chicken and eggs), and 1 starch (such as potatoes) ahead of time. By preparing mostly proteins and veggies, you’re automatically setting yourself up to lose weight or simply eat healthy, balanced meals. 4. Don’t be afraid to cook different ingredients on a single pan. If you’re looking to save time, cook all of your proteins, starches, and vegetables all at once. Simply toss your vegetables and a dash of olive oil and spread them on the pan along side the protein and roast everything together. Add different spices and sauces when you go to eat your meals to add flavor and variety. If you’re looking for other healthy and easy meal ideas, be sure to join my FREE Facebook group for women here!